The keychain measures 5,8 x 5 cm. The diameter of the keyring is 3 cm. Add a bit of Rile Paper style to your scooter keys (or any key)! 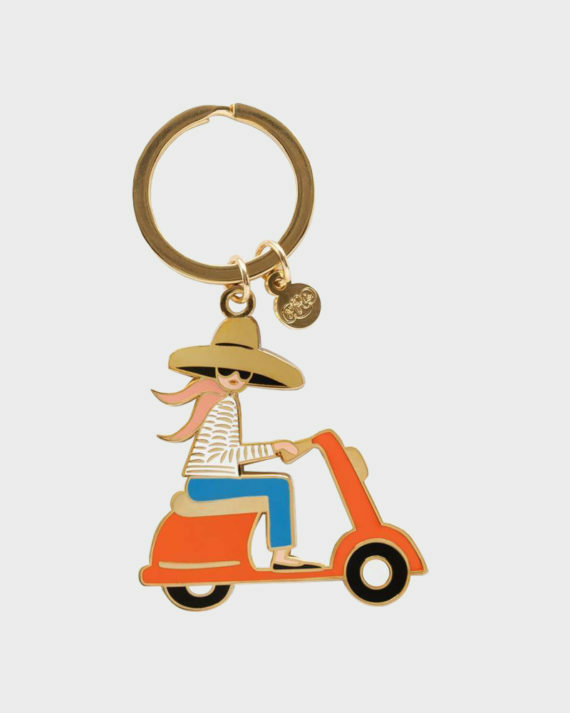 The enamel keychain is in a brass keyring. The keychain measures 5,8 x 5 cm and the diameter of the keyring is 3 cm. Based in 2009 in Florida, Rifle Paper co is founded by a couple Anna and Nathan Bond who started their business in a small apartment above a garage. During the past ten years, the business has grown and the products have found their way into the shop shelves all around the world.